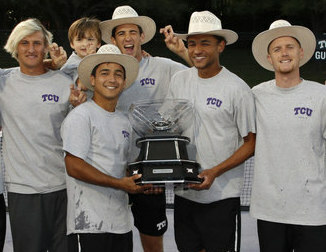 The Horned Frogs were left out of the New Year’s Six despite finishing as the runner-up in the Big 12. Instead, they were sent to San Antonio for the second time in three years to play in the Alamo Bowl for a Dec. 28 matchup against Stanford following its 41-17 loss to Oklahoma in the Big 12 championship game. Head Coach Gary Patterson said bowl season reveals the character of a football team. The Horned Frog coach will have to hope this season’s TCU team resembles the makeup of his 2014 and 2015 teams, not last year’s team that couldn’t quite find the finish line against Georgia in the Liberty Bowl. Even though it’s not in the New Year’s Six, the Alamo Bowl features two top-15 teams who were the runner-ups of their respective conferences, but Patterson desires to finish in the top 10 for the third time in four seasons and the sixth time in the last 10 seasons. 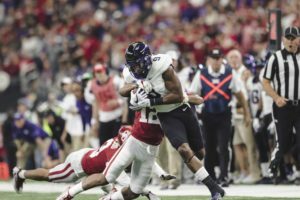 Sophomore running back Darius Anderson will be a game-time decision for the Alamo Bowl as TCU takes as much time as it can to make a decision about whether to use its leading rusher against Stanford. Patterson wants to leave San Antonio as an Alamo Bowl Champion once again, but he’s also balancing his leading rusher’s health for next season when he will return as the team’s most experienced back after the graduation of senior Kyle Hicks. “You can’t accomplish anymore in this season, so you got to make sure he is ready to go and there’s no chance of putting him in harm’s way,” Patterson said. Anderson rushed for 768 yards and eight touchdowns, both team highs, in 10 games. He left in the second quarter of the Nov. 11 game at Oklahoma with a leg injury, having scored TCU’s first touchdown with a 13-yard run on his first carry of the game. Anderson’s health has indicated a return to action is plausible. 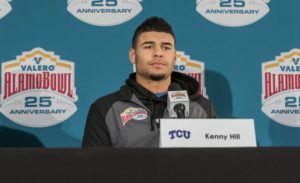 The Horned Frogs return to San Antonio for the Alamo Bowl, and Patterson said the team will use the same curfew and bed check procedures as two years ago when quarterback Trevone Boykin was arrested and sent home following a bar fight. Losing their star signal-caller had a crippling effect on the Horned Frogs who fell behind the Oregon Ducks 31-0 in the Alamo Bowl two years ago. Patterson said the same penalty is in place for a similar violation this year as he hopes to prevent another incident and his players have received the message. “It’s kind of tempting,” senior wide receiver John Diarse said. “A lot of places you can go and have a drink or two if you’d like, but Coach P has been on us for the past month about being smart about what you do and to enjoy the week while being smart in our decision-making. TCU’s current quarterback uses competition to avoid the issue of nightlife leading up to the Alamo Bowl. After tying the biggest bowl comeback ever with TCU’s 47-41 triple-overtime victory over Oregon, Patterson reflected simply on the wardrobe alteration in his postgame interview; “Purple works,” he said. This time around, fans are curious as to what shirt Patterson will don Thursday against Stanford. For now, the TCU head coach is still weighing his options. “I haven’t decided yet, probably because they’ve been on me so hard, our colors are purple and white, I’m starting to lean towards the purple a little bit,” Patterson said. The Horned Frogs’ offensive unit will face a daunting task against Stanford’s athletic and physical defensive squad in the Alamo Bowl. They also limit the big-play, something the Horned Frogs uptempo offense thrives on. The Stanford Cardinal is one of only 10 teams to allow an average of fewer than 25 points per game for four straight seasons. This season, the Cardinal have only surrendered an average of 21.5 points per contest, good for second in the Pac-12 and 30th nationally. Senior wide receiver John Diarse is excited about the challenging matchup but realizes that he and his teammates must take the Cardinal seriously. Diarse mentioned some miscues in Stanford’s defense that he noticed while watching film and believes that the Horned Frogs can exploit them to get the victory. Junior safety Justin Reid ranks eighth nationally and first in the Pac-12 with five interceptions on the season. The junior also averages 7.5 tackles per game. Hicks expects him to make his presence felt. 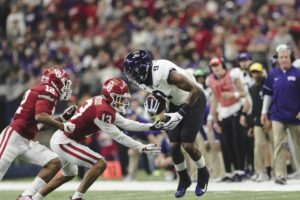 As TCU’s battle-tested defense prepares for the Stanford Cardinal in the Valero Alamo Bowl, they prepare for a unique challenge: multiple match-ups against Heisman finalists. The Horned Frog defense will face Stanford running back and Heisman runner-up Bryce Love Thursday night, one game away from their second matchup with the Heisman Trophy winner and Oklahoma quarterback Baker Mayfield. 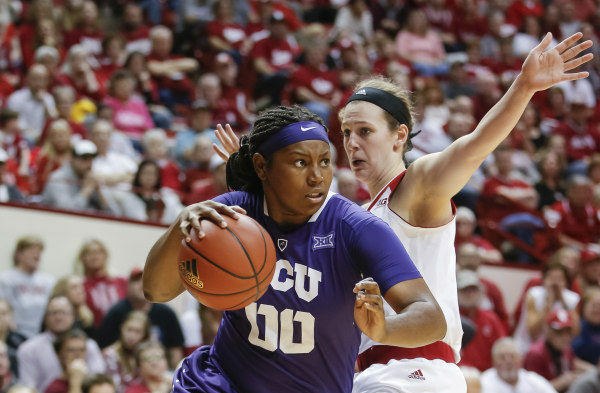 TCU’s previous contest, a loss to the Oklahoma Sooners, featured a clinic led by the superstar. He completed 15 of his 23 passes, good for 243 yards and four touchdowns. Mayfield also contributed an average of 10.8 yards per rush, utilizing his speed six times for 65 yards. Now, the Horned Frogs must flip the script and focus on Love, a stat sheet stuffer. Love ranks first nationally in total rushing yards, rushing yards per contest and rushing yards per attempt. Additionally, Love has the most 100-yard rushing games this season and boasts 23 rushes of at least 30 yards, a statistic no player has achieved the past two seasons. He averages 43.8 yards per scoring play. Plagued by an ankle injury for most of the season, Love’s production has been limited over the past few games. Stanford head coach David Shaw remains optimistic about Love’s availability for Thursday’s contest against the Horned Frogs. “He’s just trying to get his ankle as healthy as it can be so he can come and play with his teammates tomorrow night,” Shaw said. Since his injury, Love has averaged 5.745 yards per rush, better than 120 of all 130 FBS programs. TCU head coach Gary Patterson sarcastically responded, aware that a Heisman finalist with a month of rest could prove to be fatal for the Horned Frogs. 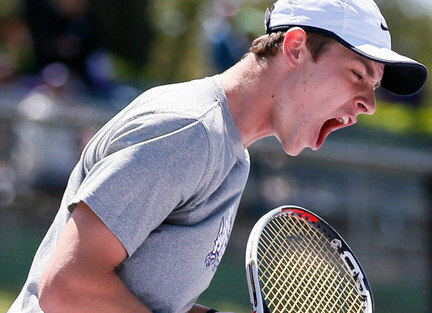 In Patterson’s eyes, Love separated himself from his peers based on his attitude toward life. Patterson and the Horned Frogs look forward to the match-up against the nation’s best running back. TCU faces Bryce Love and the Stanford Cardinal Dec. 28 in the Valero Alamo Bowl in San Antonio. Kickoff is set for 8 p.m.